Now in a smaller, travel-friendly size that is a great introductory size for new customers. 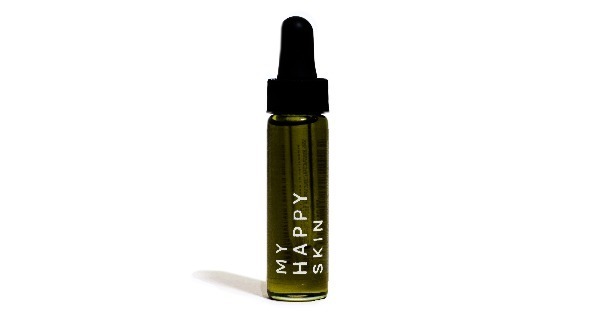 A light but rich face oil, Vana Body My Happy Skin works to moisturize skin while restoring radiance to oily and blemished skin by balancing oil production and fighting angry breakouts. 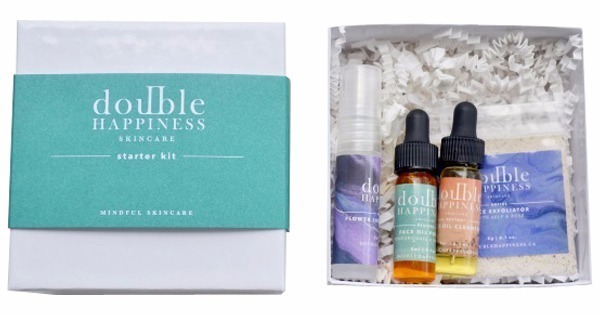 Jojoba, argan and hemp moisturize and balance skin's oil production. Argan, papaya and hemp nourish skin with antioxidants, vitamins and omega 3 and 6. Argan and papaya rids skin of acne-causing bacteria while argan, papaya and guava boost cell renewal and reduce the appearance of scars. 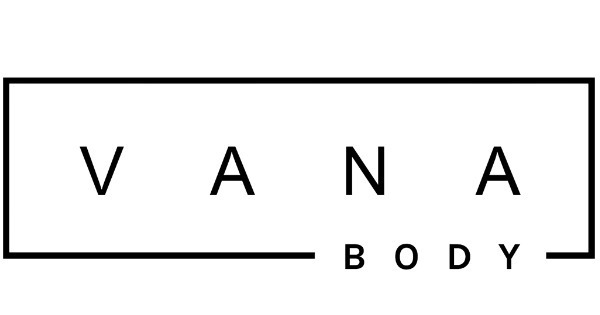 The result is a balanced, healthy and happy complexion.